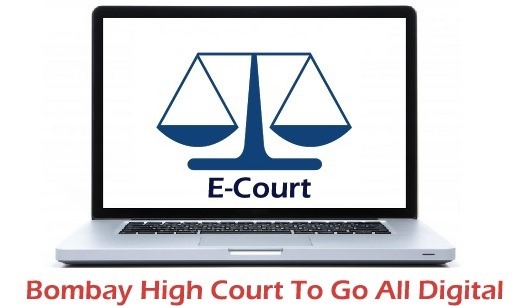 Bombay High Court To Go Fully Digital, India's First E-Court System! One aspect of Indian Judiciary system that probably gets talked quite often and is made famous by one cult hindi phrase repeatedly used in Bollywood movies is – “Tareekh pe Tareekh, Tareekh pe Tareekh” or the snail’s pace at which things move in Indian courtrooms. I am sure you have heard of many instances where court cases have been dragging not for years, but for decades. I am obviously not going to go into the reasons as to why this happens, but there is a development that has potential to bring down time taken for certain procedures of the court. For the first time in history, Bombay High Court will be introducing E-Court, a digital court that will enable nearly all procedures of a court case online. The E-Court will entertain petitions on email and eliminate paperwork. E-Court will go live on August 15th as a pilot project and will initially accept petitions for company matters and will later extend it to other types of cases as well. Among other things, the petitioners will be able to submit their petitions through a pen drive / CD (It is not clear whether they can be uploaded through Bombay HC website ) and advocates will be able to submit their arguments digitally. Judges will see the cases on their computers as well. In the initial days of this pilot, the petitioner has to send hard copies as a precautionary measure, but they will be done away with soon. It is great to see technology entering into various public service departments, that is the best way forward if efficiency and transparency has to be bought into the system. There is no precedence of such an e-court, so it is tough to say how successful it will be. While Bombay HC has taken the right step forward by bringing in technology, lawyers and petitioners have to use it. Given that India is still behind in terms of computer literacy, the success of this project depends on number of people using it rather than anything else. Infact, the same Pilot project was implemented in High Court of Karnataka , 2 years back. But, it functioned only for a week or two and then it was stopped. Reasons unknown. Bombay High Court’s decision is infact welcome. @vivek.. Thanks for pointing out. I did not know about it and hence mentioned that it was the first time. Also, do you know if Allahabad high court has something similar. One of our FB readers mentioned it..